A quick glance around Pinterest will show you that that are tons of methods for transferring images to objects. 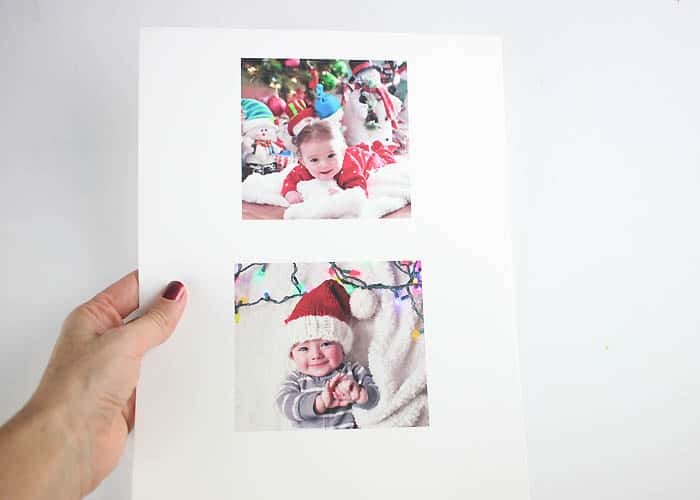 Modge Podge, Freezer paper, packing tape…they all transfer an image, but they can be very tricky. Images often get half-transferred or rip, or if you miss one little step, they won’t transfer at all. 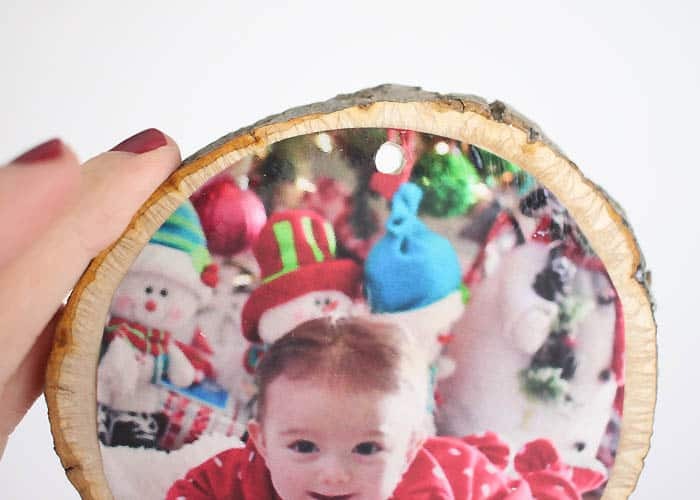 I’m going to show you an absolutely foolproof way to transfer images to wood slice and turn them into beautiful, rustic Christmas ornaments! 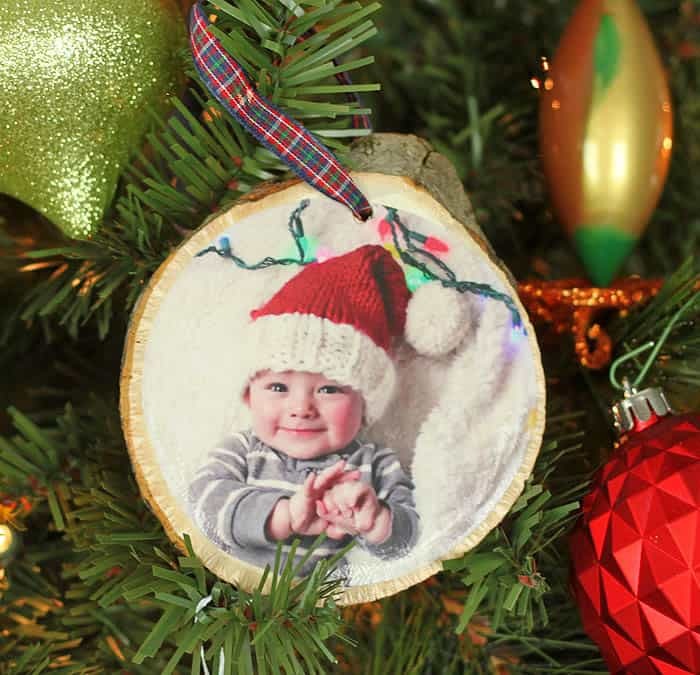 I chose some pics of Indigo from his first Christmas (last year). 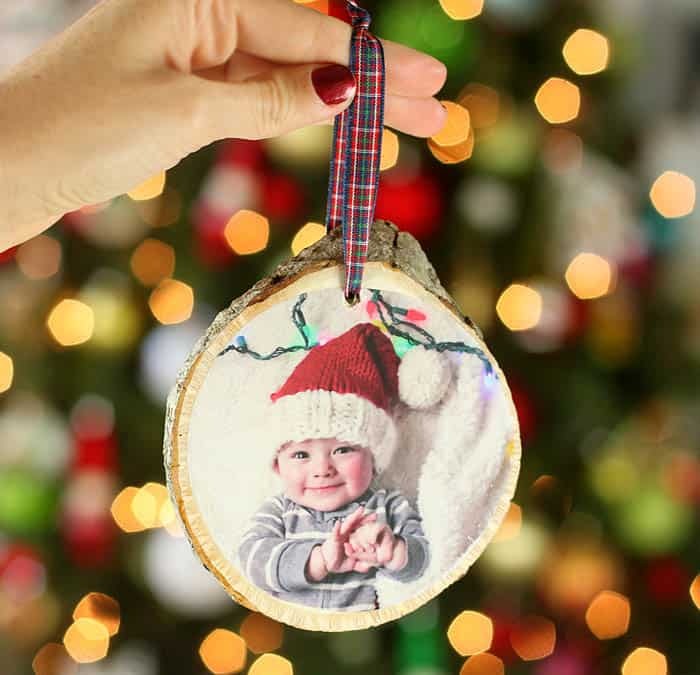 That picture of him in the Santa hat is one of my absolute favorite! It makes me smile every time I see it. 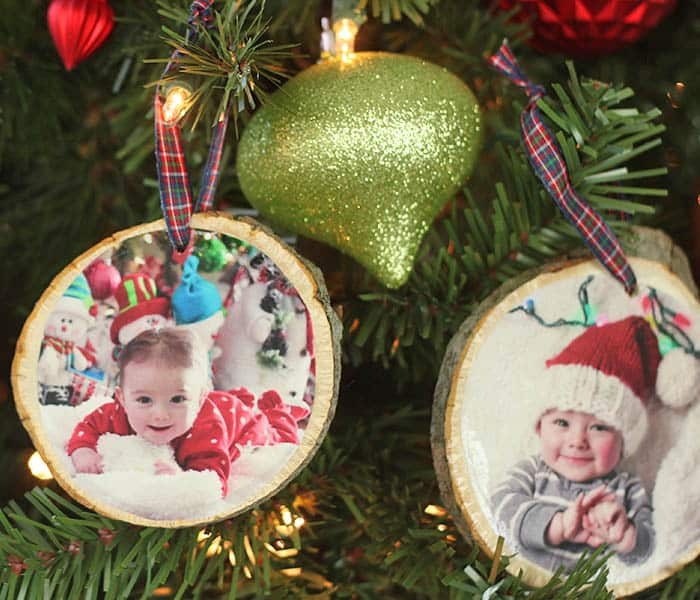 These personalized photo ornaments would make a great gift and they’re a fun holiday craft to do with the kids. 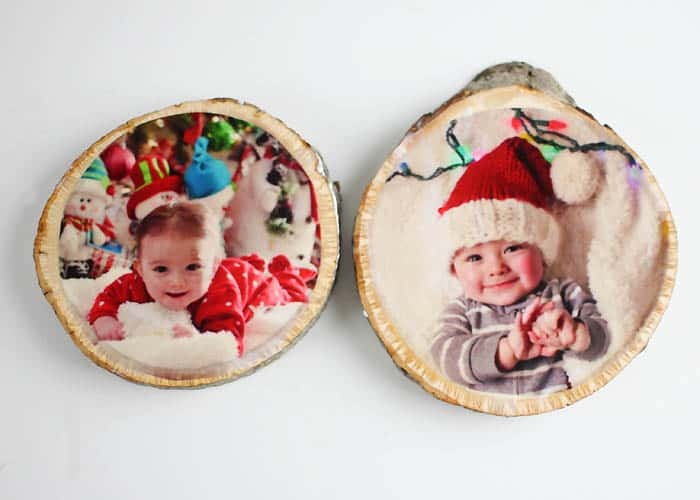 Resize your images so they’ll fit on the wood slices. Print them out on the water transfer paper. 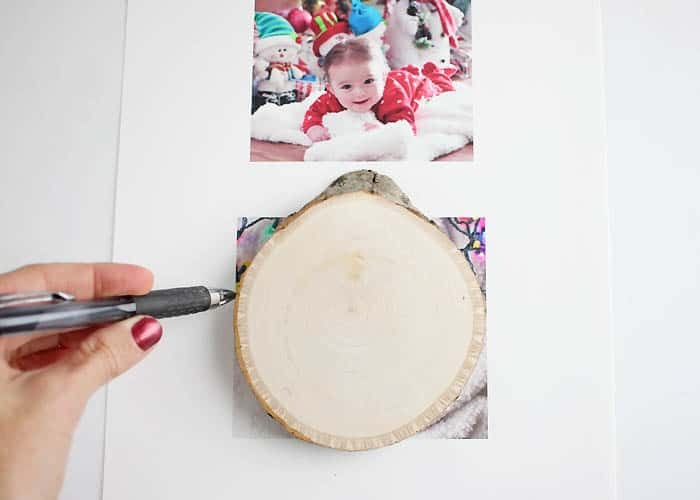 Place your wood slice over the image and trace around using a pen. 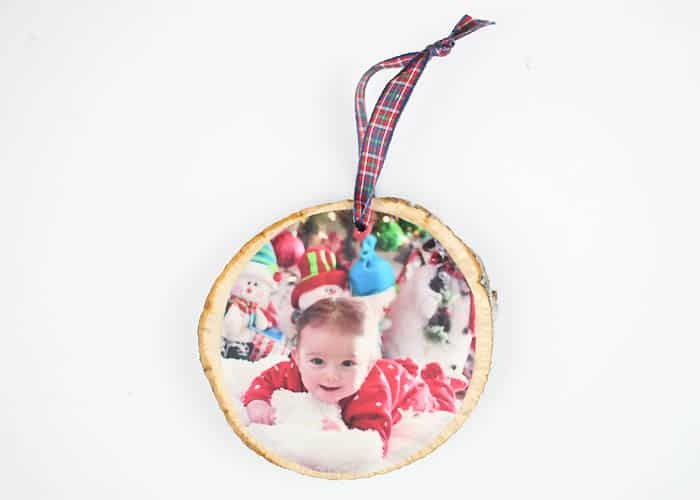 Place the image on top of the wood slice and trim it more, if necessary. I cut my pictures smaller because I wanted some wood on the sides as a border. 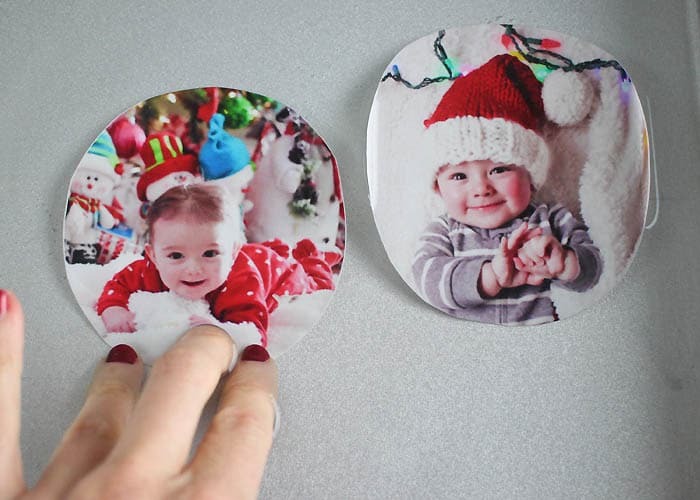 Submerge your images in a 1 inch deep pan of water. After 1 minute the image will separate from the paper backing. The water transfer paper needs adhesive on porous surfaces (like wood). 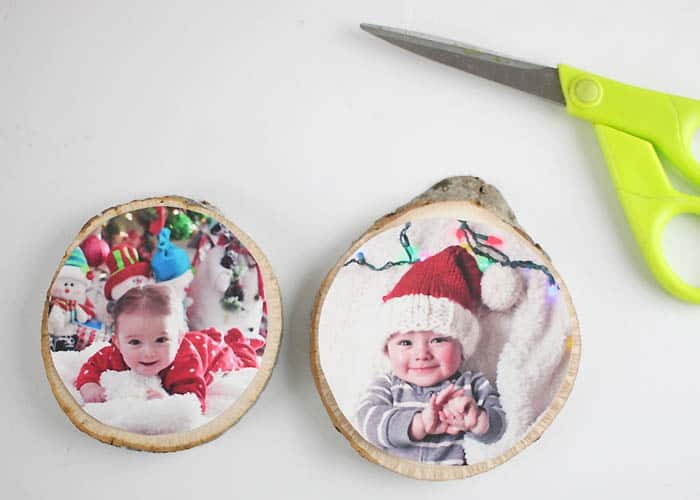 Brush some glue on the wood slices and place the images on top. Let dry. The images are transparent when they are wet, but they dry opaque. String the woven ribbon through and tie a knot.